Last night, at Stamford Bridge, in the Carabao Cup quarter-final, against Bournemouth, Chelsea, once again, had to rely on the talent that is Eden Hazard, to get the victory guaranteeing a place in the semi-finals. As expected, Maurizio Sarri made numerous changes to his starting eleven, choosing to rest several of those considered to be regular starters. Hazard, as expected, was on the bench, in case things didn’t quite go to plan. Although Chelsea were by far the more dominant side, only troubled by the occasional Bournemouth counter-attack, that elusive goal didn’t look to be coming and it looked as if we were destined for the lottery of a penalty shoot-out. But, sensing what lay ahead, Sarri introduced Hazard and the rest is, as they say, history. The Belgian notched the winner, albeit with a scuffed, scruffy goal and Chelsea took their place in the last four of the competition. After the final whistle had sounded, it was Sarri’s assistant, Gianfranco Zola who faced the media. “The difference was the changes we made. When Pedro and Eden came on, they gave us an extra gear. “Eden is the type of player who can make a big difference when he comes on, even for 20 minutes. 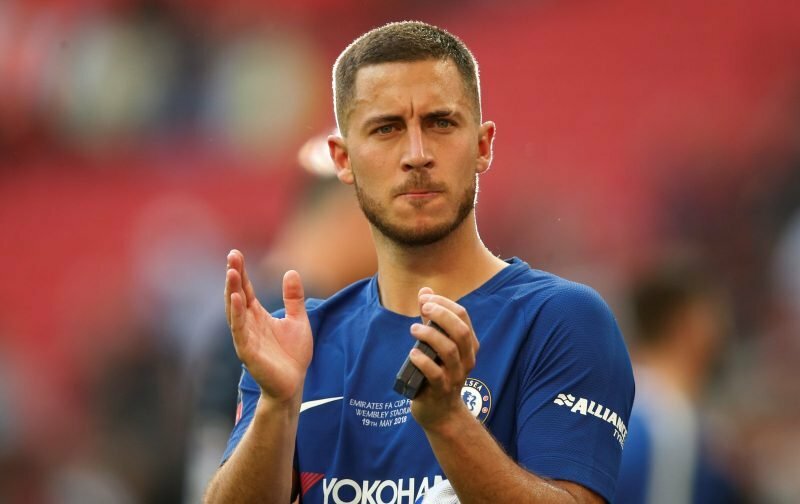 It is of paramount importance that Chelsea convince Eden to stay, without the talented Belgian we just don’t have that penetration needed to be key players when it comes to winning silverware.